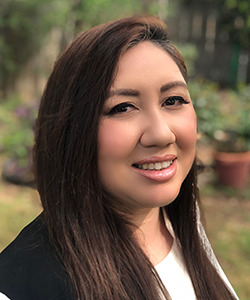 Michelle C. Vasquez joined the University of the Incarnate Word as the Communications Coordinator for the Dreeben School of Education in July of 2017. For over ten years, she worked at institutions of higher education in marketing, communications, and information technology. Michelle supports the Dean's Office, Teacher Education Department, Graduate Studies Department, St. Anthony Catholic High School and Incarnate Word High School with strategic and digital communication initiatives. Michelle graduated from the University of the Incarnate Word with a Bachelor of Fine Arts in computer graphic arts. She is currently pursuing her master’s degree in communications. Michelle volunteers for the Women in Aviation Alamo City Chapter and Boy Scouts of America.